Kara's Party Ideas | Kids Birthday Party Themes: "Pucker Up” Lemon Kisses Bridal Shower! Kara's Party Ideas | Kids Birthday Party Themes: "Pucker Up” Lemon Kisses Bridal Shower! 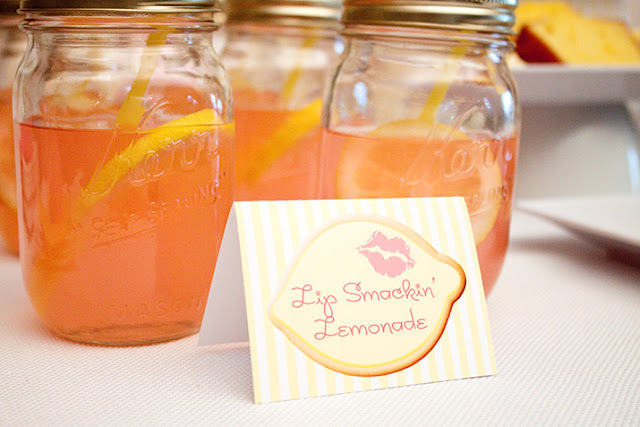 "Pucker Up” Lemon Kisses Bridal Shower! 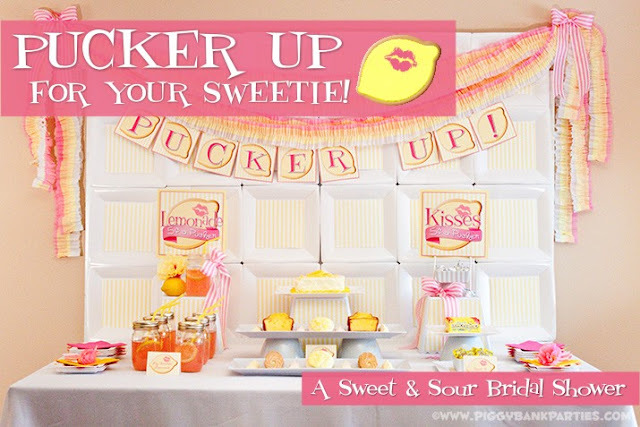 Today’s winning feature goes to this fun "PUCKER UP FOR YOUR SWEETIE" BRIDAL SHOWER submitted by Piggy Bank Parties! What a cute party theme! 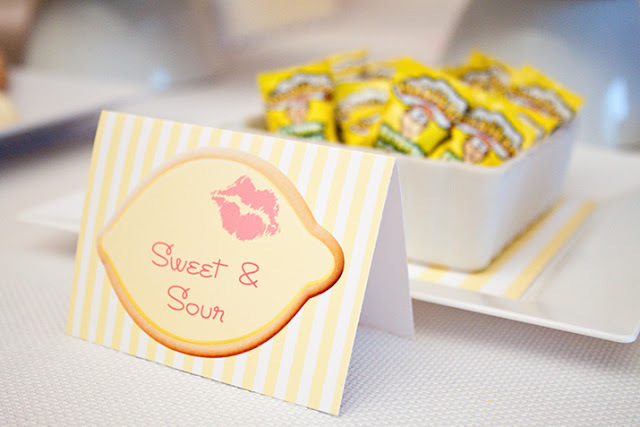 The sweet and sour touches are just darling. 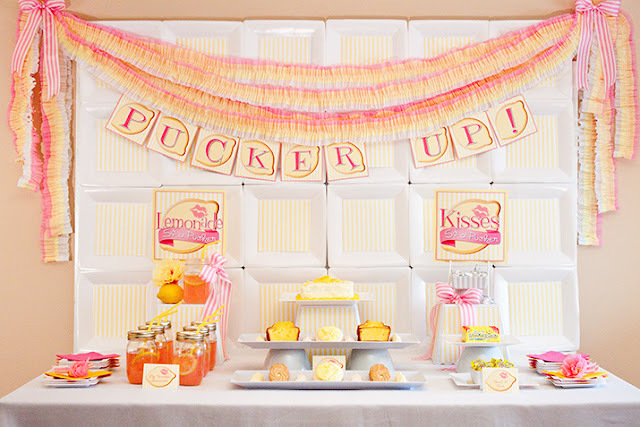 The party concept: Before the big day, the bride will need to practice her pucker before she kisses her sweetie! 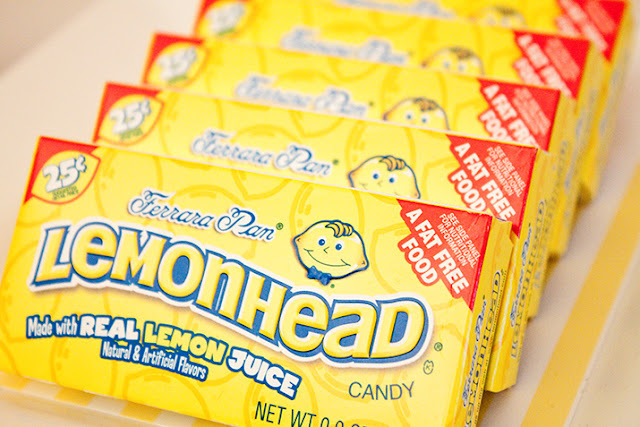 This party was created on a budget. Only $75 was spent! 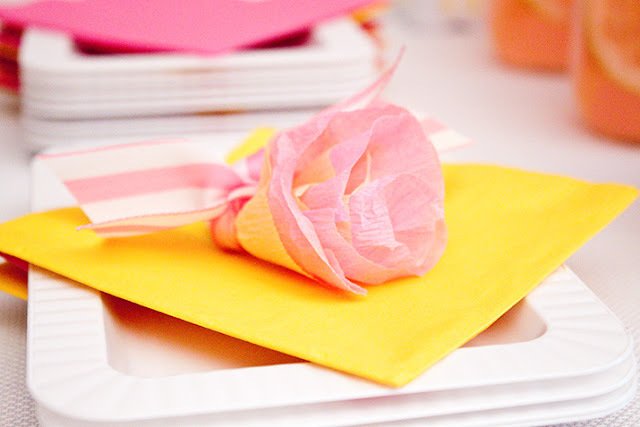 I love the backdrop created with square paper plates and striped paper. 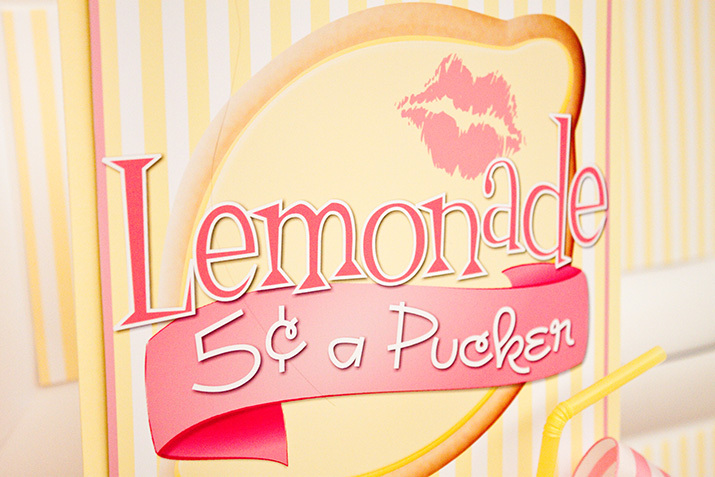 A lemonade stand and kissing booth were created on the table using popcorn buckets from a dollar store as the base. 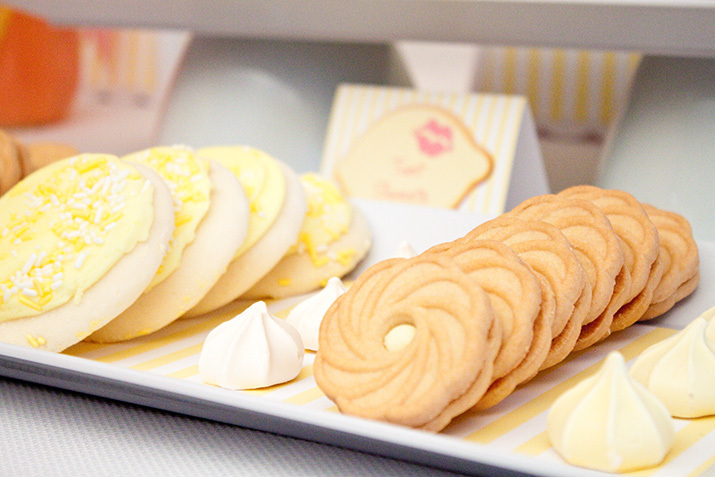 All the “sugar cookie” printables for this party can be purchased here! 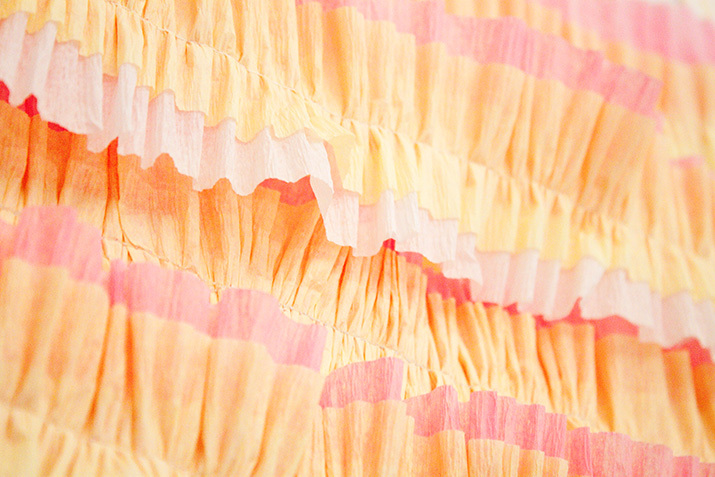 All the crepe paper ruffled streamers were made using 3 rolls of crepe paper, $3 and 1 hour behind the sewing machine! 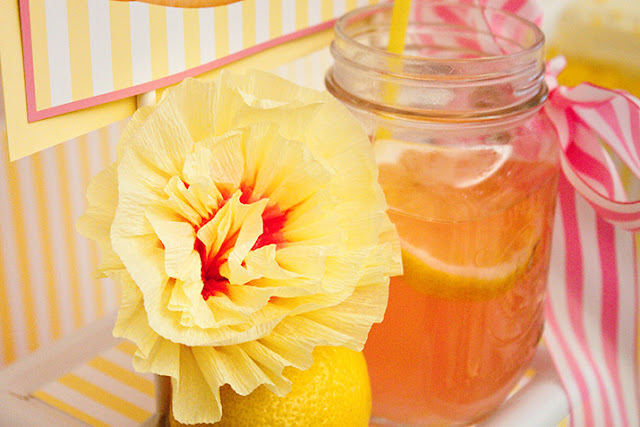 So cute, inexpensive and easy! 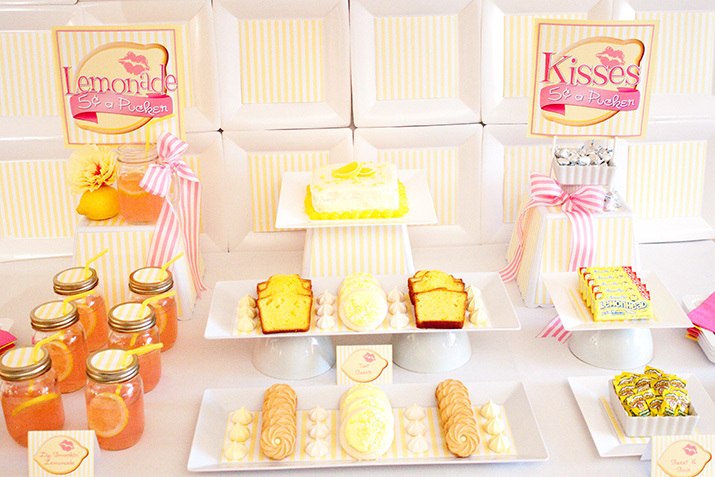 Such a darling bridal shower/bachelorette party. 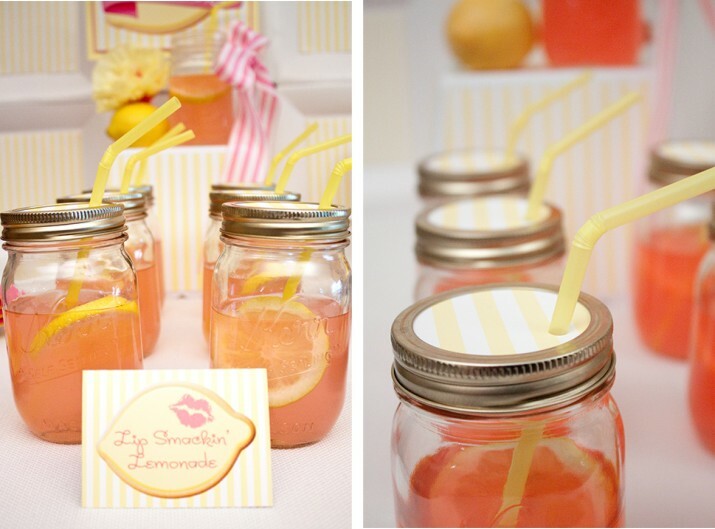 It could easily be a Lemonade Birthday Party or Baby Shower, too! Thanks for your submission, Oink! Congrats on being today’s winning party feature! leaving some piggy love! This is fabulous!! 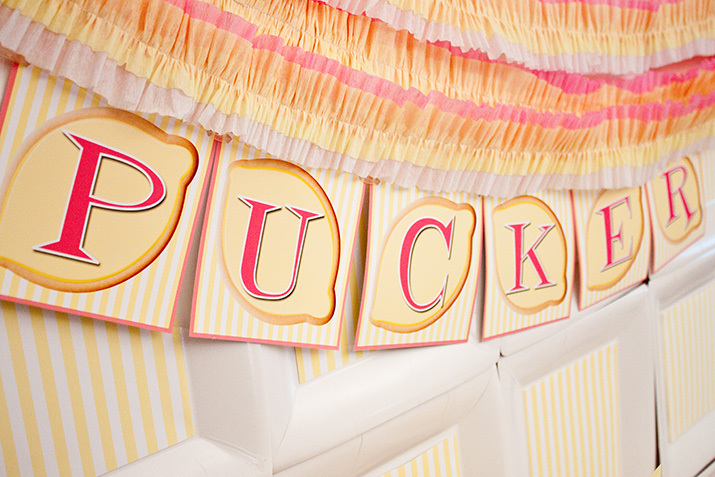 Love her signature paper plate backdrop! 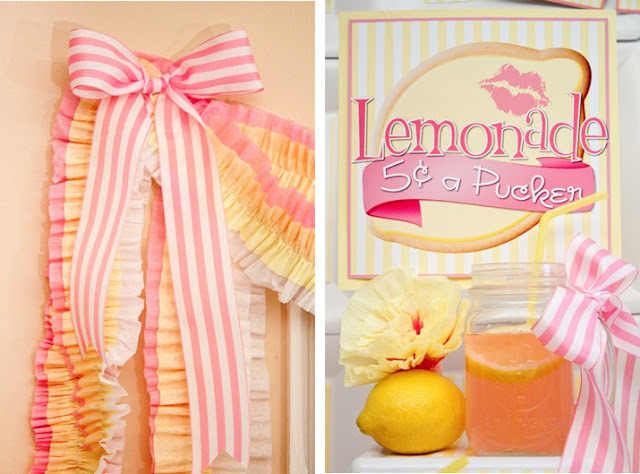 Thanks for letting us in on the budget and details on the ruffled streamers. . It doesn't look cheap :) Love the plate backdrop and ruffle streamer. The idea sounds pretty cool!! Wow, what a great party! You wouldn't be able to tell it was done on such a small budget just from looking at it. Just goes to show what a little creativity and imagination will do! Thank you so much for the wonderful feature! We had so much fun designing this one! 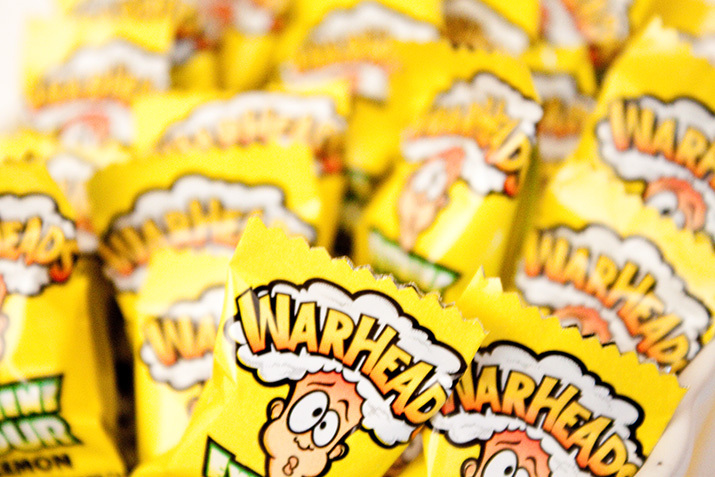 Ohmigoodness! I LOVE this party! 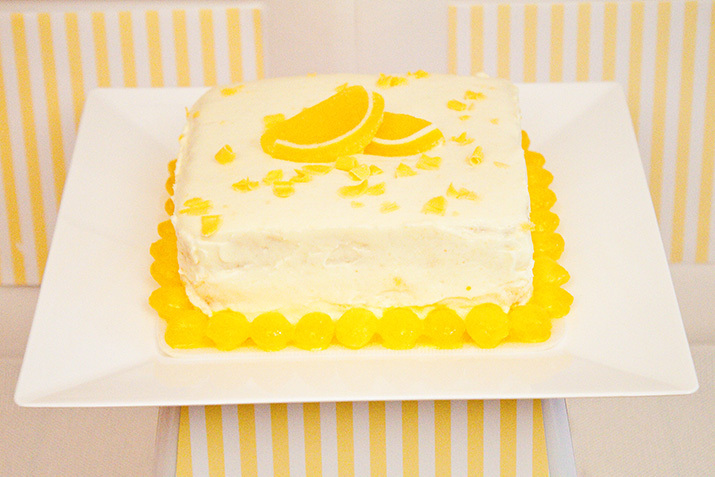 SO fresh and fun; perfect for the occasion!